If you visit CAST’s Youth Development Programme in KwaDabeka, you will meet many young, aspiring men who have dreams of using their God-given talents. Rasta is one of those young men. Being on the basketball team has allowed Rasta to realize his dreams again of going back and finishing high school. Two years ago, Rasta dropped out of tenth grade. He has five siblings, and his dad is a single parent because their mom passed. As a gardener, Rasta’s dad struggles to provide for the family. Rasta’s motivation is to be a good influence for his family. His goal has been to work part-time while he finishes high school, and be able to graduate in the next two years by the time he turns 23. During the past couple of weeks, Rasta has taken the first step in the direction of his dreams. Thanks to Cox Manufacturing, a local air-conditioning and ventilation component manufacturer, Rasta is now able to work part-time to support his family while also pursuing school. Cox Manufacturing’s relationship with CAST’s Youth Development Programme first began when the company’s Managing Director, Mike Cox, volunteered at boys2Men Camp. Cox Manufacturing has become a major supporter of CAST’s Youth Development Programme, even employing a few of the young men in the programme. 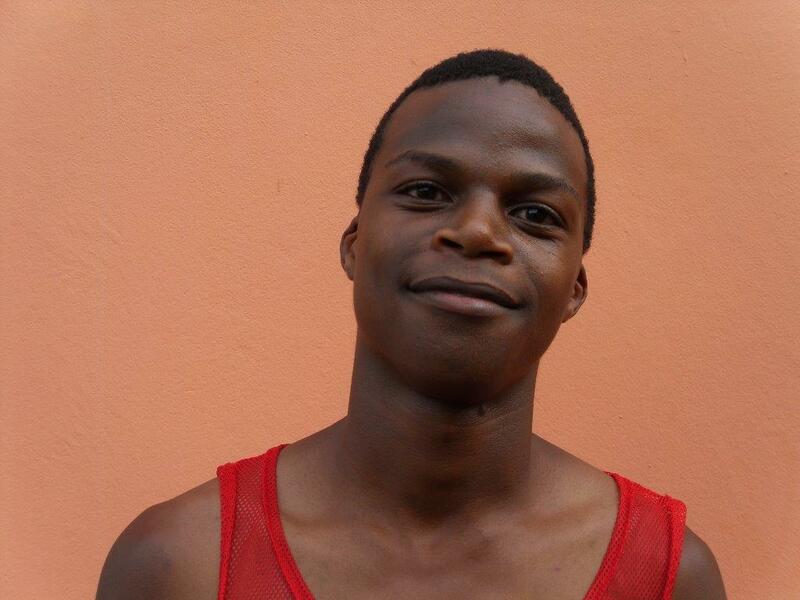 After graduating high school, Rasta would like to use his God-given artistic talents and creativity to study graphic design. Thanks to Cox Manufacturing, Rasta is on his way to achieving his dreams. CAST’s Youth Development Programme believes that every youth has God-given potential that should be nurtured. Because of supporters such as Cox Manufacturing, young people like Rasta are able to pursue their dreams. If you are interested in impacting the life of a young person through CAST’s Youth Development programme, please consider sponsoring a young man to attend boys2Men Camp this year. One weekend away at camp can transform the life of a young person just like Rasta. Young men are able to take a break from life in the township to encounter God, while also learning from speakers, enjoying great food, and having a blast with activities and games. After attending camp, young men come back home ready to be a light in their own communities by giving back. It only takes R350 to sponsor a young man to attend boys2Men camp. Boys are expected to raise some of their own funds, but every year, CAST’s Youth Development Programme helps with any additional costs they are unable to cover. Another way you can get involved is through mentoring a Youth Development Programme participant such as Rasta. By meeting only a couple times a month to give a listening ear and share some wisdom, you can make a huge difference in the life of a young person. If either of these opportunities to impact youth interest you, please contact George Mwaura, CAST’s Youth Development Manager at george@cast.org.za or 0795967364. Mrs. Tabete’s journey with CAST began when her pension money was taken away. Life became very difficult for their family, so Mrs. Tabete came to CAST’s Lamontville Community Coordinator looking for help. After being put on the food parcel programme, Mrs. Tabete decided to also attend CAST’s business forum. Currently, she takes care of several children in her neighbourhood, but she is limited by the size of her home. In the future Mrs. Tabete would like to open a creche. 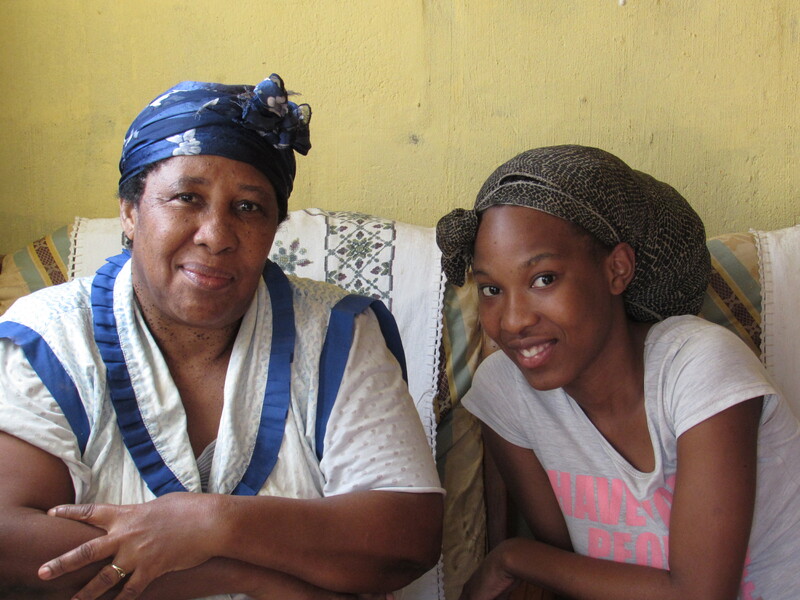 Because of CAST’s support, Mrs. Tabete has been able to care for her granddaughter, who passed matric last year. Her granddaughter has plans to go to college for journalism. CAST’s food parcel programme and business forum are intended to not only better the lives of individuals like Mrs. Tabete, but entire families and neighbourhoods. By empowering Mrs. Tabete, CAST was also able to empower her grandchild and the children in their neighbourhood who are cared for by Mrs. Tabete. By donating towards CAST’s food parcel programme, you can not only empower the lives of individuals, but entire communities. If you would like to move beyond charity by being a part of the transformation happening in communities like Lamontville, please contact Murry, CAST’s Volunteer Coordinator, at murry@cast.org.za to find out more about how you can get involved. Last week, we met Mama Palesa, a grandmother in Lamontville who has been empowered through CAST’s various programmes. During the next several weeks, CAST would like to introduce you to several women living in the community of Lamontville who are actively involved in CAST. 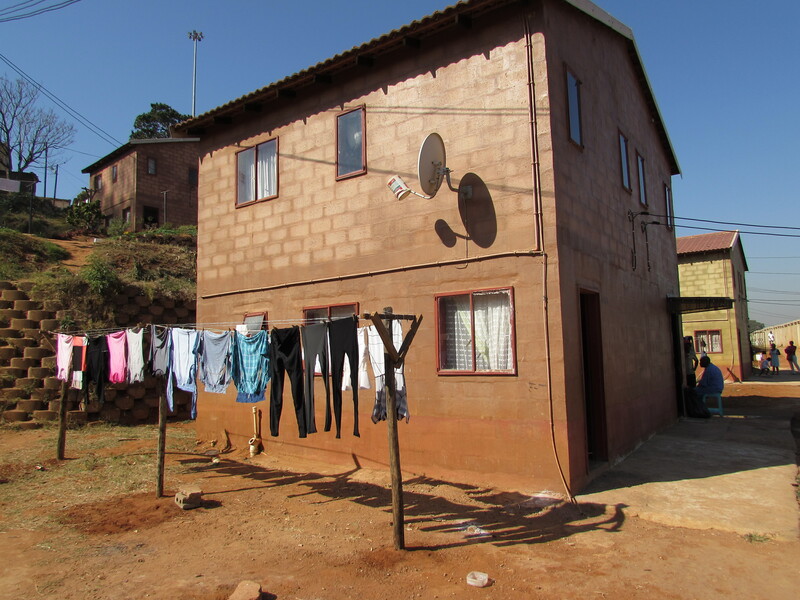 Initially intended for Durban’s African middle class, Lamontville is Durban’s oldest township. A historically and culturally rich community, Lamontville remains a major athletic, artistic, and political hub. 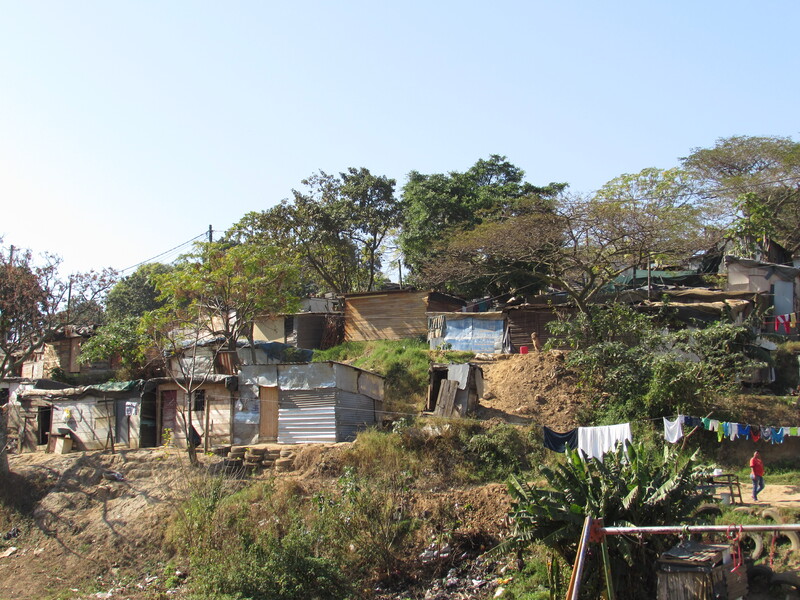 As a result, many individuals move to Lamontville from the farms to find work. One of those individuals is Princess. In 2005 Princess came from the Eastern Cape with a friend to work in Lamontville. However, when her friend passed, Princess was left alone. For work she cleaned at a take-away kitchen in Chatsworth, but after the birth of her son she lost her job. Fast-forward to 2013, Princess is raising three boys on her own, struggling to make ends meet. A friend that attended Lamontville Baptist Church told Princess about CAST. She met with CAST’s Lamontville Area Coordinator and was put on the food parcel programme. Currently, Princess cleans at a salon a few hours a week for work, but she plans to sell clothing in the near future as an additional income to support her sons. Just like Mama Palesa, Princess received holistic services from CAST. CAST believes that true transformation happens when we move beyond just charity to meet the spiritual, emotional, and physical needs of people. Our goal is that those individuals receiving food parcels will be empowered through CAST’s Business Development programme to become self-sufficient. Additionally, CAST’s Counselling, Youth Development, and Educational programmes are able to support the entire family. Our community churches also provide a spiritual home for many of the families CAST works with. Oftentimes, food parcels become the beginning step for individuals to receive holistic care from CAST. CAST is always looking for volunteers who can donate, pack, or deliver food parcels. If you are interested in reaching out with practical compassion through CAST’s food parcels, please contact Rachel, CAST’s Food Parcel Ministry Coordinator, at rachel@cast.org.za.